In this Part we will explore the meaning of the third Shloka of Sri Vishnu Sahasranamam. The Lord can be attained by Yoga and He is the Master of all those established in Yoga. 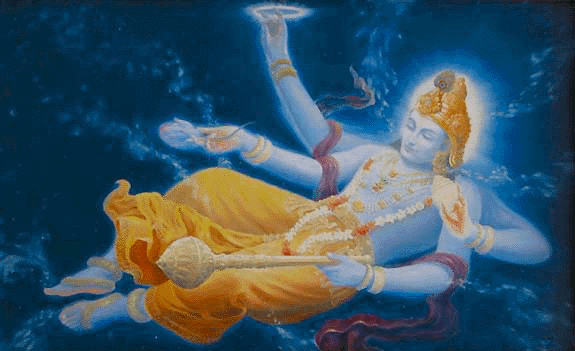 He is the Pradhana Purusha who controls of the Universe. He takes multiple forms at his will and as Narasimhavapuh, He destroyed Hiranyakashipu to protect his ardent devotee Prahlada. He is so beautiful together with Goddess Lakshmi residing on his chest. He is Keshava, the controller of the Trinity and He is the greatest among all Purushaas on whom we should meditate at all times to attain liberation. The word Yoga in Sanskrit has several meanings such as: means, meditation, union, fitness, remedy, etc. 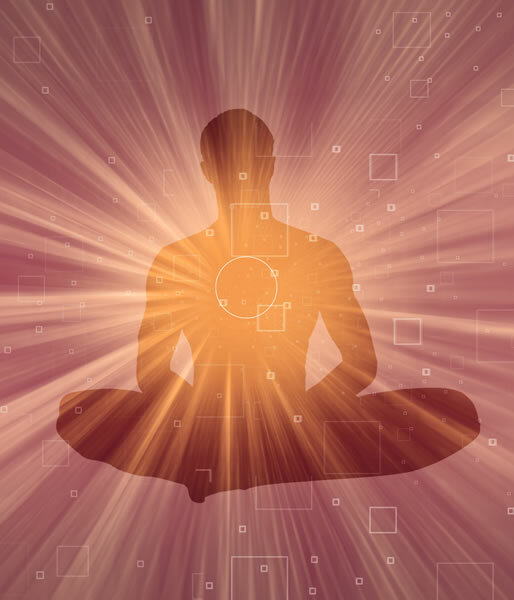 The realisation of oneness of the individual and the supreme Spirit, by keeping under control the senses of cognition together with the mind, is called Yoga. Sri Adi Sankara interprets this Nama to convey the ‘union’ or ‘one-ness’. Bhagavan is called Yogah as He is attained by controlling the sense organs and the mind. Through this process we realise the one-ness of the Paramatma and the Kshetragna i.e. Jivatma. Sri Parasara Bhattar interprets this as a ‘means to an end or simply a process’. According to him, this Nama means that meditating on Bhagavan is the sole means for attaining Mukti or salvation. Swami ChinmayAnanda uses the meaning ‘meditation’ for the term yoga, and gives the interpretation for ‘Yogah’ as “One Who is realised by withdrawing the sense-organs from their objects of preoccupation and quietening the mind”. Yogavit is one who enquires into, acquires or realises Yoga and Neta is a leader. Bhagavan is called ‘YogavidaamNetaa’ because he leads and nurtures the Yoga practitioners towards their goal of realisation. Pradhaana is primordial Nature i.e. Prakriti or the world around us as perceived by our sense organs. It is also called Maya or the apparent reality. Purusha is Kshetragna or the Jivatma. Eeshvarah is the Lord and Master and PradhaanaPurusheshvarah means the One who is the Lord and Master of both Prakriti and Purusha i.e. Lord Maha Vishnu. 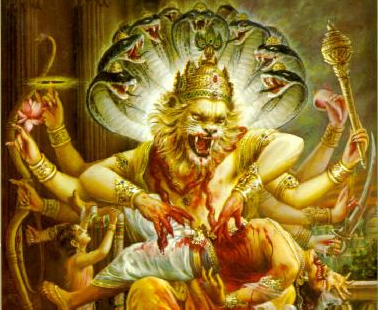 Vapu means body and Naarasimha means a combination of a man and a lion; so NaarasimhaVapuh is somebody who has a body combining a man and a lion. This refers to the Narasimha Avatar of Bhagavan. He will not die in any type of indoor or outdoor. After being blessed with these boons, Hiranyakashipu defeated the demigods and rulers on Earth and announced that he was the Supreme God and declared that all prayers should be directed towards him and not to Vishnu. The entire Kingdom followed his commands except his young son, Prahlada. The little boy Prahlada worshiped Lord Vishnu. Hiranyakashipu tried all means to make the boy worship Him. But all his efforts failed. Then the demon King tried to kill his son several times but each time the little boy was rescued by Vishnu. Frustrated and incensed with his son’s worship of Vishnu, Hiranyakashipu demanded him to show him Lord Vishnu who is supposed to be omnipresent. In a fit of anger pointing to a pillar, Hiranyakashipu asked whether Vishnu is present in it. As soon as the young Prahlada affirmed, Hiranyakashipu took out his sword and struck the pillar. finally, He took the form of Naarasimhavapuh i.e. half man-half lion, neither a human nor an animal. Thus, the Lord vanquished Hiranyakashipu and protected his ardent devotee Prahlada while ensuring that all the boons granted to Hiranyakashipu were honoured. Shree is Goddess Lakshmi and she eternally abides on Bhagavan’s chest. Shree also means beauty and Sri Parasara Bhattar interprets Shreemaan as “most beautiful and charming personality”. One who killed a demon called Keshee. 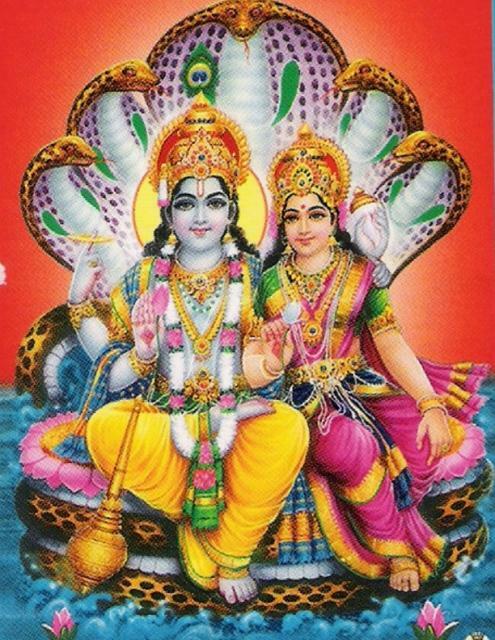 This appears in Vishnu Puranam (5.16.23). Narada says to Krishna, Because you have slain the impious Keshee, you will be known in the world by the name ‘Keshava’. One who controls the Trimurthi’s. This is explained by Sri Adi Sankara as: “Kascha Ascha Eeshascha Trimoortayah Keshaah, Yadvashena vartante sa Keshavah”. ‘Ka’ means Brahma, ‘a’ means Vishnu and ‘isa’ means Rudra; hence ‘Kesa’ denotes Trimurthi’s (the three embodiments) who are under His control i.e. ‘vasa’. So Keshava is one who controls the 3 functional Entities namely the Creator, the Protector and the Destroyer. This is interpreted as ‘Purushaanaam Uttamah’ or ‘Purusheshu Uttamah’ or ‘Purushebhyo Uttamah’. Depending on the form that is used we can interpret this as either ‘Supreme among Purushaas (Jeevaas)’ or as ‘Superior to the Purushaas’. I am superior to Matter and superior to the Individual Soul; and hence I am called Purushottama in the world and in the Vedas. The Lord can be attained by Yoga and He is the Master of all those established in Yoga, hence He is called YogavidaamNeta. He is the Pradhana Purushaeshvara who controls the Universe. He takes multiple forms at his Will and as Naarasimhavapuh, He destroyed Hiranyakashipu to protect his ardent devotee Prahlada. He is so beautiful together with Goddess Lakshmi residing on his chest, hence He is Shreemaan. He is Keshava, the controller of the Trinity and He is the greatest among all Purushaas i.e. Purushottamah on whom we should meditate at all times to attain liberation. Fantastic narration. Feel an inner calm after reading this. Thank you.